The vision must be realized to make India a responsible, nature-centric tourist destination. Exciting natural history, bird, wildlife & Himalayan expeditions. Chartered a plane for Sheikh Talal of Saudi Arabia to visit India. 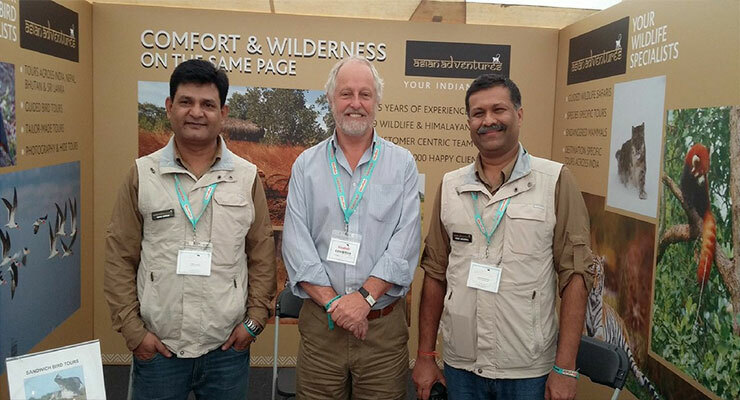 Chartered a helicopter for the leading industrialists of the U.K. to visit Tiger Reserves. Chartered Palace-on-Wheels for Abbott Diagnostika, Germany. Electronic fencing at Kaziranga National Park. Working with community village, Chhoti Haldwani near Corbett Park. Supported Titli Trust to protect butterflies and moths. Supported Wildlife Trust of India. Funded an NGO ‘The Bagh Foundation’. Assisting Forest Dept. to set-up Eco-friendly Homestays. In-house lodges, guides and drivers. Efficiency and efficacy in the company systems. We deliver what we commit. No infringement with the privacy. Errors corrected efficiently in the minimum time. Prime concerns – Your comfort, safety and security. Many alternatives and options to choose from. The team walked several extra miles for us as the Kashmir Birding Tour got cancelled due to issues in the Valley but Uttarakhand Birding Tour arranged by them at eleventh hour when we had lost all hopes worked wonders for us. I was able to sight the rare Lesser Florican at Sonkhaliya and I do not know how to thank the marvelous team at Asian Adventures. Every arrangement was made in perfect way and I could purely concentrate on birding. Getting fishing permit seemed almost impossible but the team members obtained it for me after much hassles and I had great time with myself and my fishing gear. Thank you very much. Reach Us – We help you write your own travel book!